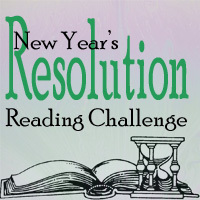 The New Year’s Resolution Reading Challenge is a short event, running to the end of January (about six weeks) as we end 2015 and start 2016. We will have a link-up every Monday from now through February 1st to share our book reviews, list posts, and early progress on our 2016 goals. Are any of these books on your TBR? Or, do those titles remind you of books that you would like to read? The link-up below is for sign-up posts for the Reading Challenge, the Read-Along, or both. Sign-up posts are a great way to introduce #NewYearBooks to other readers and to declare what books you’ll be reading to support your resolutions, goals, and projects in 2015. Joy, have you heard of The Motivation Manifesto? It might be a great read-along book for the challenge. I just finished reading an article by the author in next month’s O magazine and it was really thoughtful when it comes to motivation and keeping goals. Does it count if I finish a book that is already in progress? 🙂 Also, is this a non-fiction only challenge? As a language learner I’ve been meaning to read one book in translation that will hopefully help me read the author in the original later in the year 🙂 Besides, there’s a personal situation I need to get over, and I’ve been thinking that reading some Paulo Coelho should help. Books already started definitely count and so do re-reads — I think I’ll be doing both! I love the idea of using a fiction book for this challenge! I’ve used fiction to help me learn about places and history — it’s very cool if you can find books that will help with language and personal situations. I will be participating on Goodreads and Instagram. My goal is Determined. I will be reading The Life-Changing Magic of Tidying Up by Marie Kondo and The Motivation Manifesto by Brendon Burchard. I’m late to the party, but I’m here. I’m going to try to do at least 2 books before it ends. Happy New Year to you Joy! I am late to officially signing up for your challenge just because I haven’t had a moment to write an official sign-up post, but am going ahead and signing up now because the month is flying by and intention-wise, I am already participating in what is my favorite reading challenge of the year! I am reading 4 books to help me focus on my health/wellness goals for the new year. I’m late! Last year I was semi-functional. This year I am running perpetually late. I guess I should be grateful that I am even functional at all! I’m signing up at the committed level (and hoping I don’t end up being committed). I’m starting a business this year which accounts, in part, for my frazzled state. My three books have been chosen with maximizing my chances for success in that endeavor in mind. Well, I guess it pays to be flexible. I had planned to read writing and creativity books for this challenge, but the books I ordered were lost by the post office and still floating around out there somewhere. So I changed focus and went with health and fitness. So far I have read 8 Weeks to Optimum Health and Tighten Your Tummy in 2 Weeks. I had committed to 2 books, so I guess I did it. First completed reading challenge of the year! Yay! Congratulations on a great start for the New Year! Um, I’ve just realized that a book I own and thought was some sci-fi is actually about the intelligent design “theory”. I’m interested in exploring various spiritual beliefs as I’m seeking for peace and harmony, but I don’t think I’ll read the whole thing. Is this fine or should I choose something else? Whatever works for you! Expecting sci-fi and getting intelligent design would disappoint me — and not add to my peace and harmony. Hehe. At least it’s in Croatian, and I’m not very familiar with actual sci-fi so not picky. I doubt I’ll find it convincing but hopefully there will be some interesting spiritual ideas, if nothing else. Hi joy! I am glad you’re hosting this challenge again. I’ll be focusing on blogging books but I do want to read Life Changing Magic and The Organized Mind. Thanks for hosting!